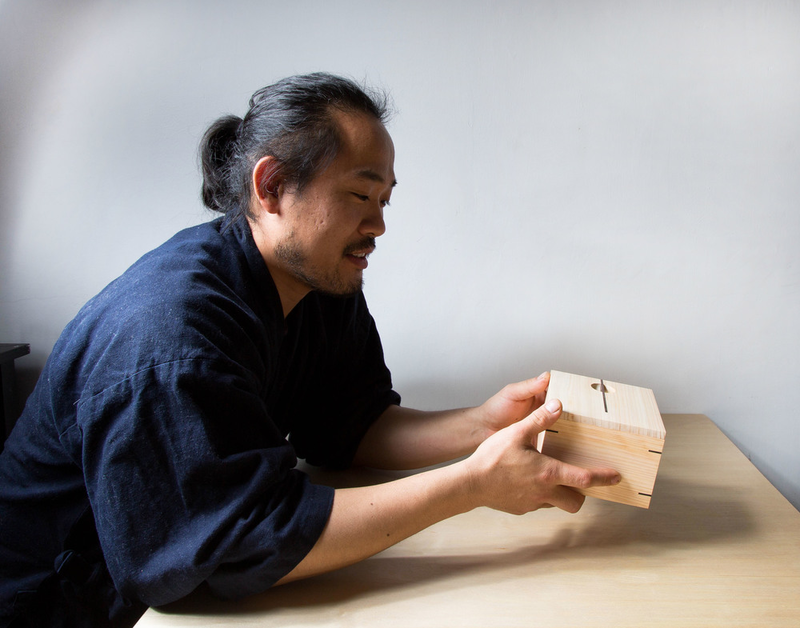 While attending trade school specializing in wooden crafts Kohei was introduced to and fell in love with hand tools. He delved deeply into the furniture arts but at the advice of his professor took a job as a Japanese Temple and Shrine carpenter. For 8 years he worked on some of the most famous temples and shrines in Japan including Important Cultural Heritage sites such as the Grand Shrine at Izumo. Seeing and working on buildings like these that had stood the test of time he was interested in why present day homes weren’t considered with as much thought when building. He also fell in love with the mark that carpenters had left using traditional methods of sawing, milling, and finishing in the past. In 2012 he was given the opportunity to take on a project building a new home in Fukuyama city. He accepted it and built one of the first traditional Ishibatate homes (see Structure) in the area since the end WWII. Finishes included everything from finely planed to adze and axe finishes used in rough milling. This began his company Somacousha. The character for Soma (杣) means traditional sawing/milling. The character for Ko (耕) means to cultivate. The final character Sha (社) is a typical character meaning company.